I rose early and walked Mix, returning to the summer house to pass on electricity readings to our new supply company and to n-power whom we are leaving. I was very disturbed to discover earlier in the year that when our contract with n-power expired we would move from a unit cost of 11.02p and a standing charge of 25.6p to a unit cost of around 14p – a huge increase. In fact by using Compare the Market and moving to i-supply our costs are going to be lower than before. It is quite extraordinary! 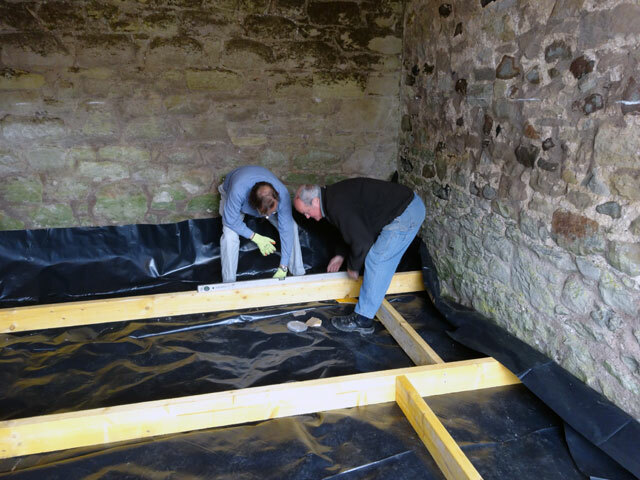 David and Tom arrived and we set about getting everything finally ready in the Bothy for the concrete which will be delivered within the next ten days. There is no hurry and we have lots of other jobs to do. Of course, we broke mid morning for coffee but at lunch time we repaired to Pearsons for lunch. I enjoyed an excellent corned-beef hash. 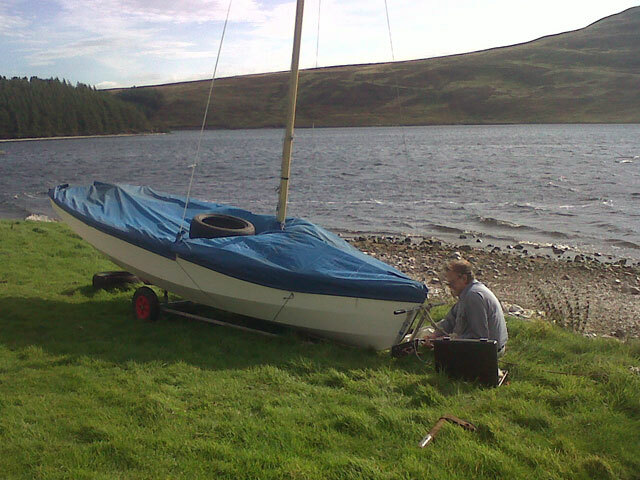 After lunch we helped Tom move his caravan and then David and I went up to the Whiteadder reservoir to fit a new jockey wheel to the front of the trailer to make it easier to move – Tom was away with his grand-daughter to the dentist. Back home we had coffee before David returned home. There were lots of other things going on today. Rachel and Dorothy were in Berwick at their stained-glass class, (that lasted all day). Mum spent the afternoon at Coldingham Priory – a visit to start off the Gavinton Guild season. In the evening, after stovies in the farmhouse, Rachel went back to Berwick to her choir with Bridget while I drove Mum into Duns to attend a musical event in the Volunteer Hall in which her hairdresser was playing a significant part. I worked in the summer house at my desk, enjoying the peace and quiet after a busy day, surrounded by two contented dogs – heaven. I prepared the music files for Arrochar for Sunday and sent them off to Jamie. I walked Mix and got to bed in time to watch Newsnight.